Historically, Land Rovers were working-class vehicles bred more for work than for play. Then, in 1970, British Leyland launched the more luxurious Range Rover SUV into the lineup, and so began a transition from no-frills, farm-based function to posh-posh, white-collar flash. 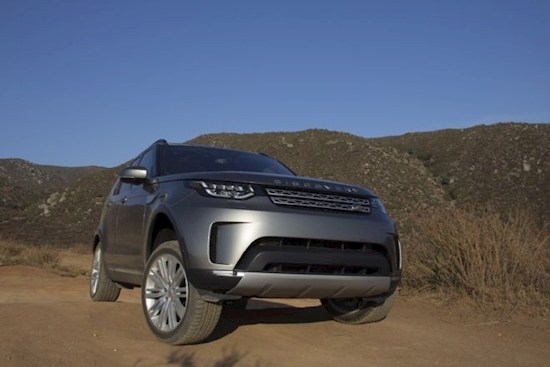 The ’18 Discovery is now sporting a much swoopier, sophisticated exterior rooted firmly in the Range Rover DNA. And the interior is every bit as luxurious as the exterior is curvy. 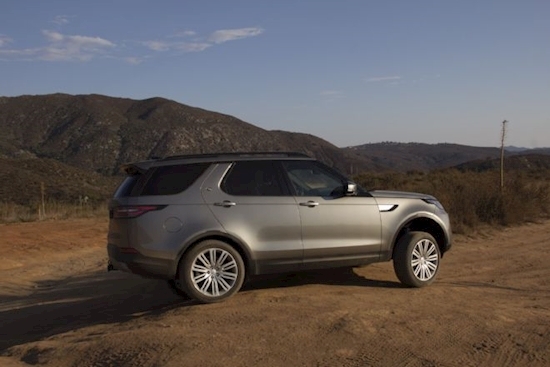 Our test model is the HSE Luxury edition, which heaps mounds and mounds of options inside the Discovery. And there are about a bazillion little storage spots stashed throughout the interior, including a compartment behind the HVAC controls, dual gloveboxes, several center-console areas, rear-seat storage pockets, and even latching bins for the third-row passengers. And, of course, for the modern-day gadgeteer, there are both USB and 12V power ports hidden within almost every crevice. Interior passenger and cargo room is good. The fact that the third-row seats can be dropped individually allows you to carry six passengers and enough luggage and gear for a weeklong getaway—or seven passengers and virtually no gear. Take your pick. The third-row seats in our test model feature heaters, and the first- and second-row seats are both heated and ventilated. The second- and third-row seats can be electronically folded or opened by several means. There’s a control panel on the driver-side interior of the cargo area within easy reach from the tailgate to raise or lower the second- and third-row seats. There’s also a control panel inside the rear doorjambs to operate the third row. 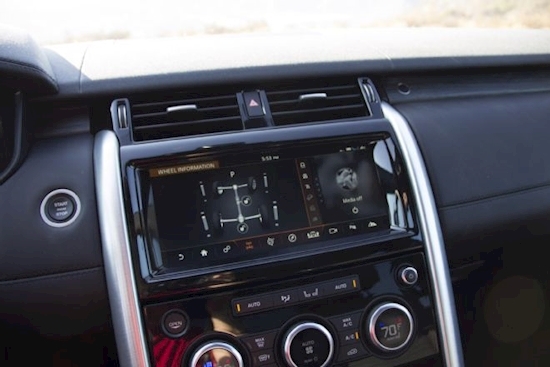 The touchscreen infotainment system can operate any of the rear seats on the fly, and it can drop the headrests to increase rearward visibility. And, finally, you can use your smartphone with the vehicle’s app to access seat functions. Pretty crazy, huh? 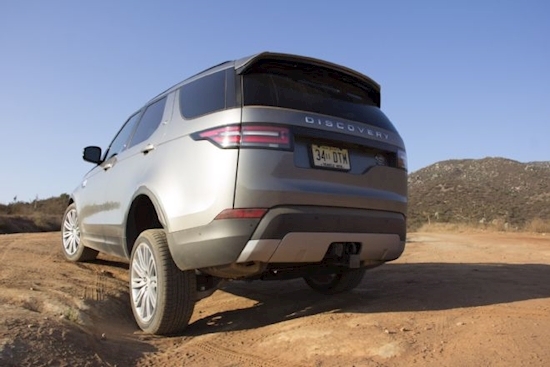 For this first installment, we’ve been using the Discovery as anybody would: daily commuting, errands, dropping off and picking up kids from school, and the occasional weekend foray, including bumping down moderately maintained dirt roads. While the fuel economy of the 340hp, 332–lb-ft, supercharged 3.0L V-6 isn’t atrocious, the fact that it likes to sip on 91-octane premium fuel does make you a tad sore in the wallet department. However, there’s more than ample power on tap, and it easily keeps the big SUV rolling up any mountain grade, especially given there’s an eight-speed auto with paddle shifters at your command. The handling is comfortable, but not entirely uncompromised. In the corners, the Discovery sometimes feels spongy and almost wallowy. We know from driving Range Rover and Range Rover Sport on this chassis that more on-road cornering performance is possible, but this is more a family wagon, so we’ll forgive and forget. 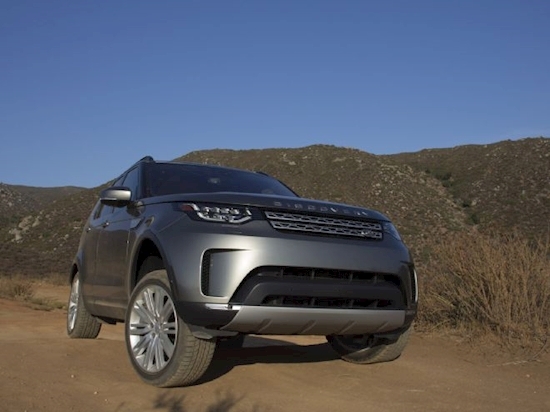 What definitely isn’t a compromise is the Discovery’s Terrain Response 2 four-wheel-drive system. With a host of terrain response settings, a true rear locker, unobtrusive traction control system, electric air suspension (that’s blazingly fast, we might add), and a true two-speed T-case with a stellar 2.93:1 low-range ratio, the Discovery can drag itself just about anywhere off-road. 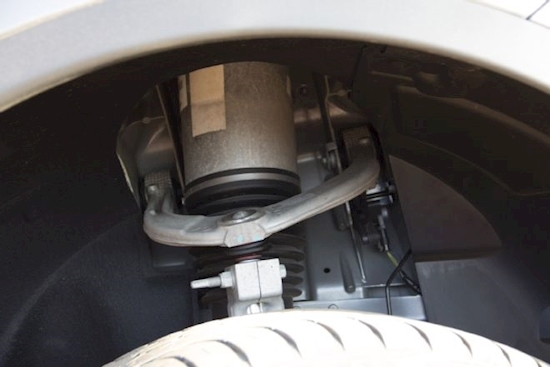 There’s plenty of wheel travel to keep all four tires on the ground, and the traction control doesn’t overtly apply the ABS to correct yaw in the corners. It’s a truly enjoyable off-road driving experience. Our test Discovery is so highly appointed that it’s tough to find one standout among the sea of optional equipment, but one item we thought we’d never wind up mentioning is the $105 Cabin Air Ionization option, which is something normally found in home air purifiers. Ionization is simply infusing an electric charge to contaminants as they move through the HVAC system. Once charged, the particulate attracts itself to the inside of the HVAC system or interior surface of the vehicle instead of floating through the air. The point is that you’re not breathing a ton of dust and debris while you’re off-roading, and during a summertime trip to Sacramento, California, while the whole state was seemingly on fire, the Discovery cabin provided a welcome respite from the unhealthy smoke-filled air outside.